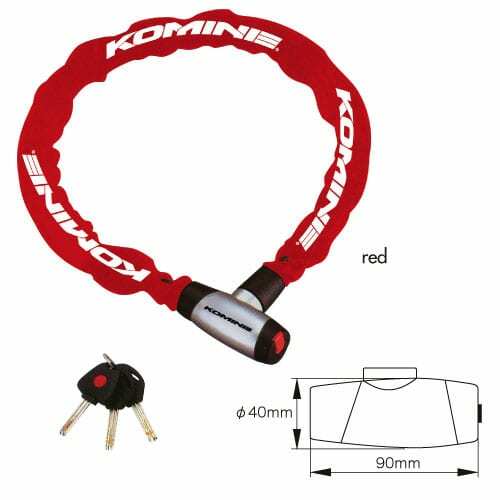 Komine's LK-123 Alarm Wire Lock can help give peace of mind when you leave your bike left alone. Motorcycle thefts are on the rise so the more you can do to prevent it, the better. 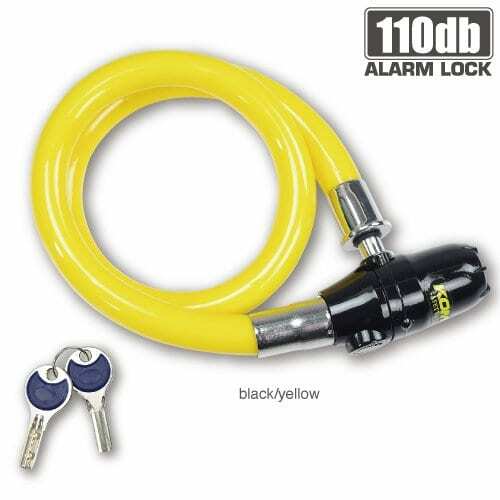 The alarm lock is a combination of a hardened steel security wire combined with a 110-decibel alarm that when sensors any type of movement, will alert anyone around or scare the thief off. When a perpetrator views that your bike is secured with this, it'll be a bit enough deterrent on its own. Choose to have the alarm on or off and be comfortable leaving your bike. The Komine LK-122 Reminder Motorcycle Alarm Disc Lock will give you comfort in knowing your bike is secure the next time you leave it. With dual movement sensors and 110-decibel alarm, no one is going to be able to move your bike without someone knowing about it. The hardened, anti-cut 7mm steel pin locks into position on your disc and reminder cable make sure you won't forget about it. Get the LK-122 alarm disc lock so you can leave your bike knowing it's secure. With bike thefts on the rise,the Komine LK-112 Armor Joint lock is a solid piece of bike security equipment that can protect youf= from the thieves. 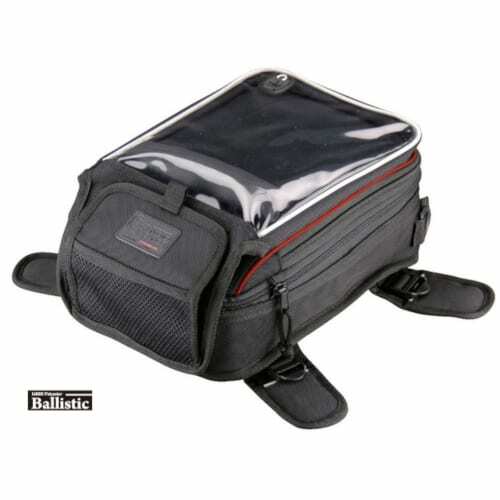 It comes with hardened steel anti-drill lock and hardened steel chain, covered in cloth to prevent any scratches. At 120cm long, there is plenty of length to chain your bike to something solid so you can leave your bike knowing it is secured. 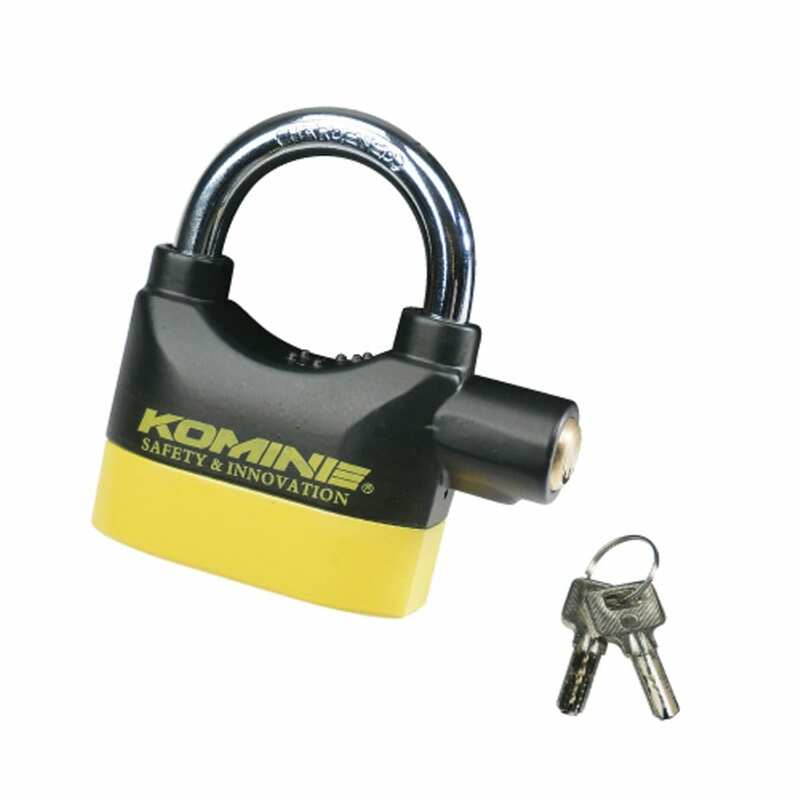 Komine LK-121 Folding Lock is a portable, easy to carry foldable lock that is made up of 6 high strength steel blades with anti-dust keyhole cover. 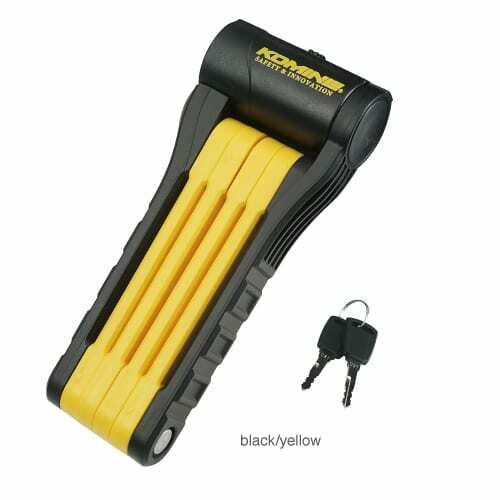 Leave your bike in confidence with the convenient Komine foldable bike lock. 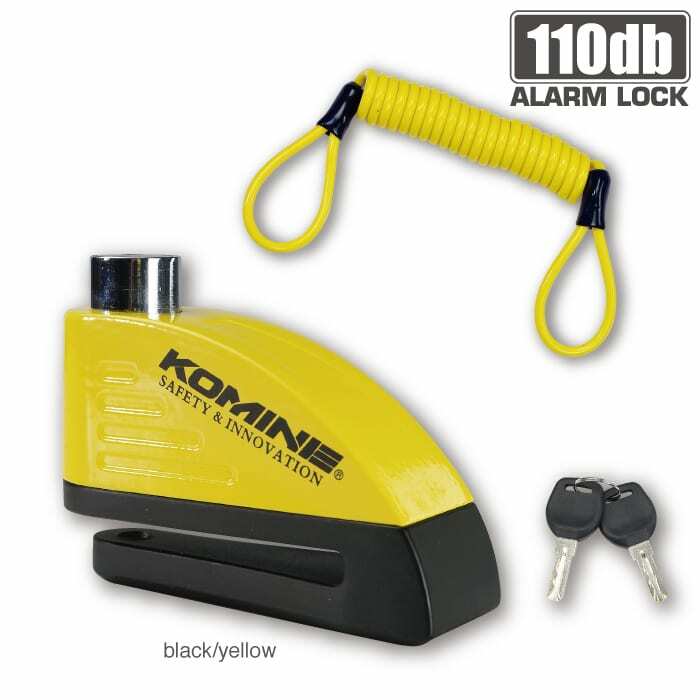 If you want peace of mind when you leave your bike out on the street then the Komine LK-120 Alarm Padlock could be what you have been looking for. It can be either fixed to the disc or used with your existing security chain which will reach 110 decibels is someone tries to move it. The padlock can be also used without the alarm by simply turning the U-shaped shackle around. The alarm padlock is great for all types of applications as well as protecting your bike. Want excellent storage at an affordable price? 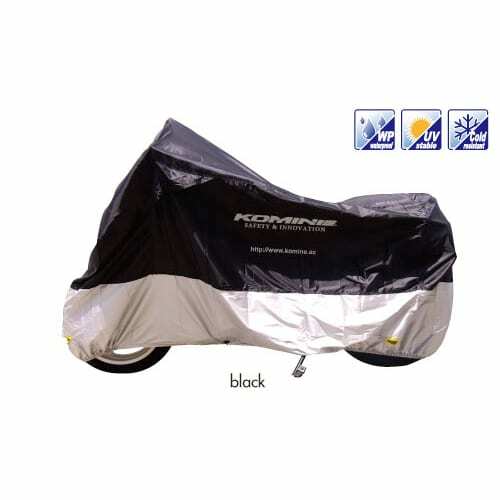 Then the Komine AK-102 Compact Motorcycle Cover is the fit for you. 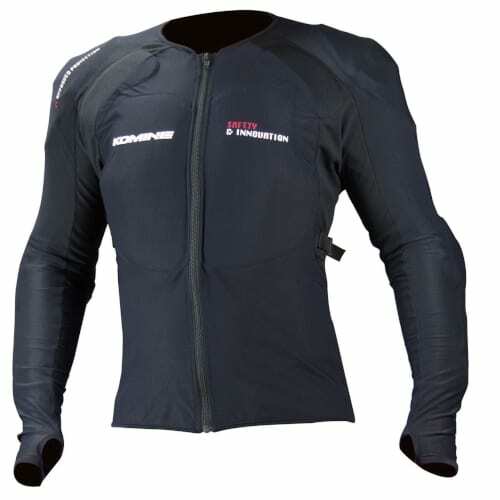 The lightweight shell gives excellent protection from the wind, water and UV elements. 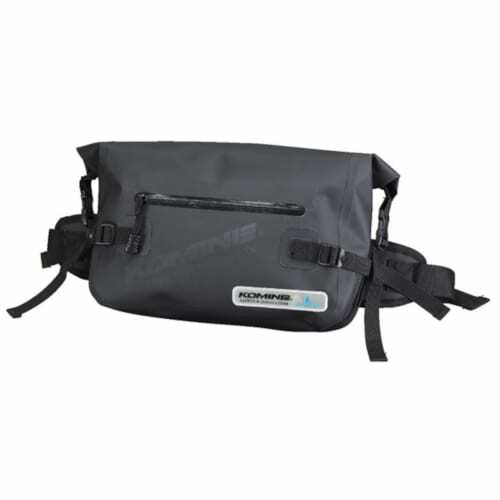 It comes with breathable side vents, holes for your security chains and a center hook to prevent being blown away in strong winds. It also comes with a convenient cover bag. Protect the machine you love with the AK-102 motorcycle cover. No need to store your bike outside in the elements with Komine AK-103 Motorcycle Dome. 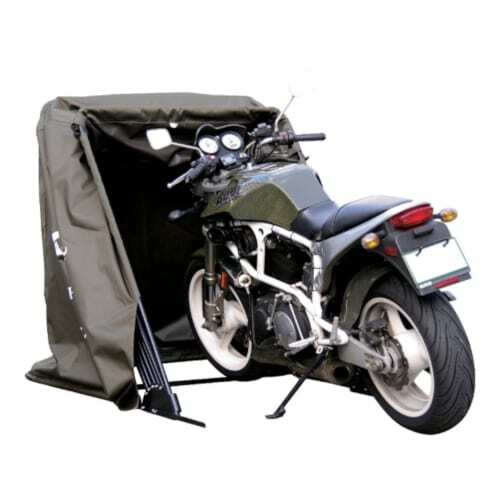 This can be your own personal, portable storage unit for your motorcycle without having the hassle or removing tarps every time you want to ride. The bike sits away from the structure which means you don't have to worry about hot exhaust pipes burning holes in your tarp as well as putting up with moisture damage from conventional covers, to your bike. fix it to the ground or use your bikes front wheel weight to hold the dome down and keep it portable. You can even free up some valuable space in the shed and move your bike outside. Komine's motorcycle storage is a great way to keep the dust and elements off your bike and make it easier to get out on a ride. 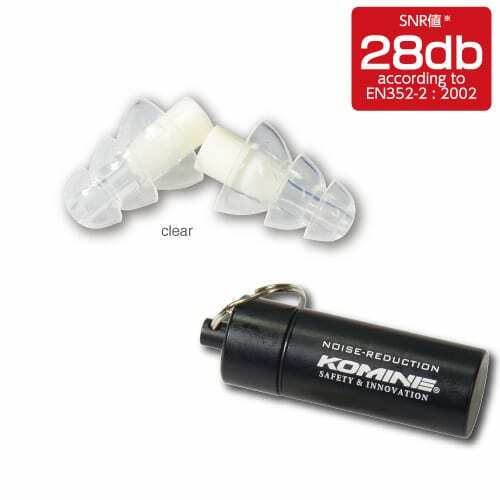 The Komine AK-344 Noise Reduction Earplugs are able to block out annoying background noise while still being possible to hear conversations. This can make your ride a lot more enjoyable, especially long ones, where you may not want to listen to the background noises for hour after hour. This will help reduce fatigue and concentration. WIth an SNR rating of 28 decibels, these are a great way to protect your hearing, and the silicone earplugs come with a storage compartment. Sometimes you want to protect your hearing and just ride without all the background noise. Want to keep your hand warm this winter? 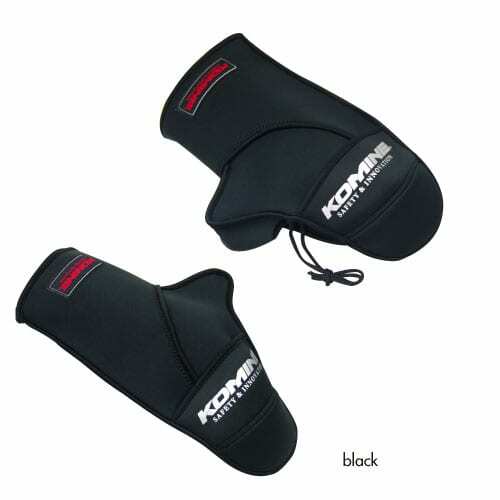 Then the Komine AK-021 Neoprene Handlebar Warmer Mitts will definitely take care of this for you. 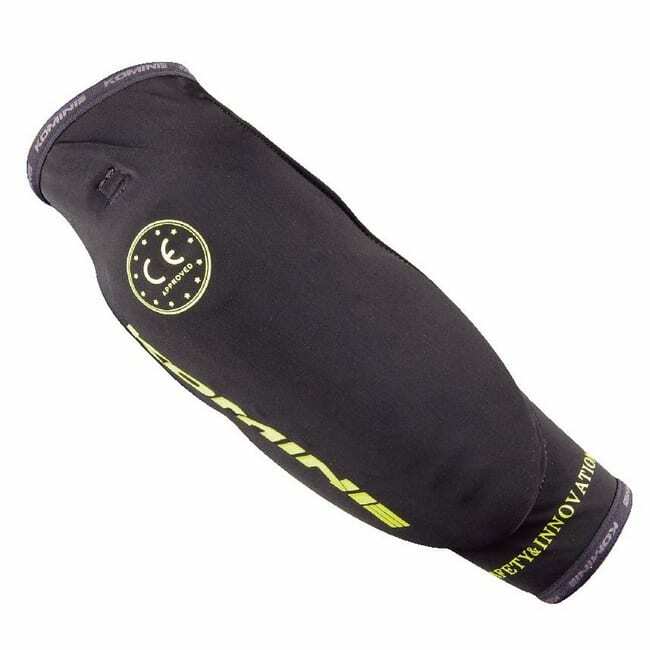 Made from wetsuit material and lined with fleece, they function excellently to block the chill out and keep your hands warm. Fixed to the bike for as long as you decide, these wind blockers make for a quick and easy installation. One of Komine's best sellers for a reason. 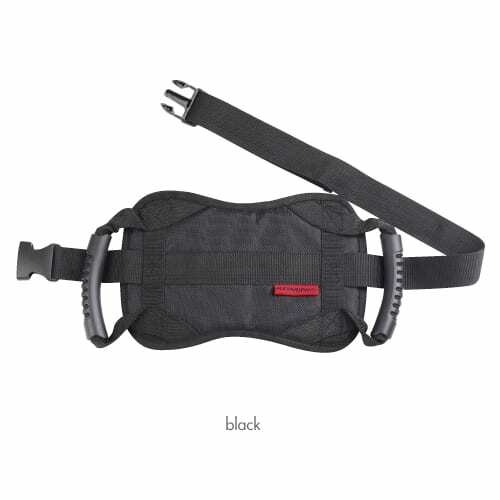 The Komine AK-322 Tandem Riding Belt is a great practical way of keeping your passenger stable and safe on the back of the bike. 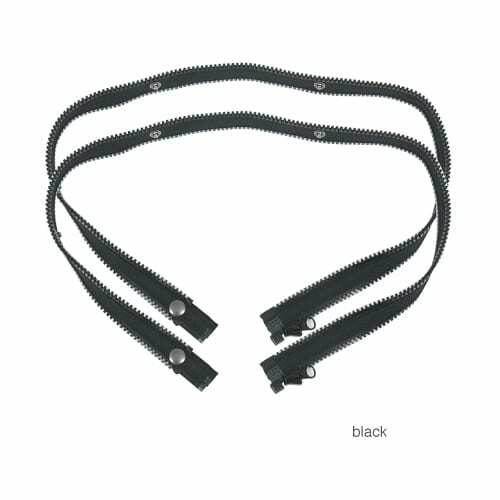 The belt attaches to the rider's stomach with the handles facing the front. The companion on the back can then hold onto the handles to make sure they don't lose balance at higher speeds. The adjustable strap and antislip panel makes for easy/comfortable fitting to the controller. 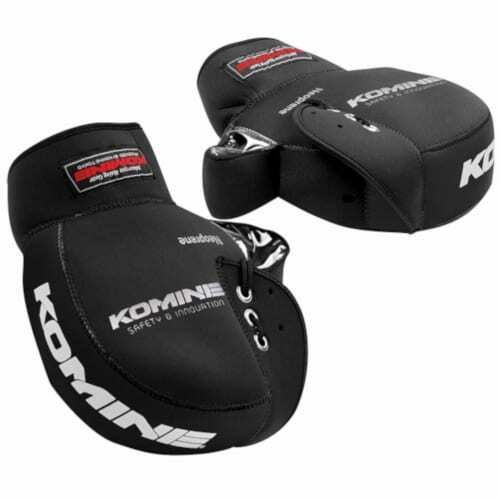 Another practical and quality product from Komine. An item that makes it possible to connect an A type jacket with a B type pant and a type B jacket with A type pant. Making integration possible regardless of the type of connection zipper. Two types of adapters are included. The length can be adjusted with the snap button, it corresponds to all sizes. With the AK-340 different types of jacket and pants can be connected. Want to take the wind chill off the hands this winter? 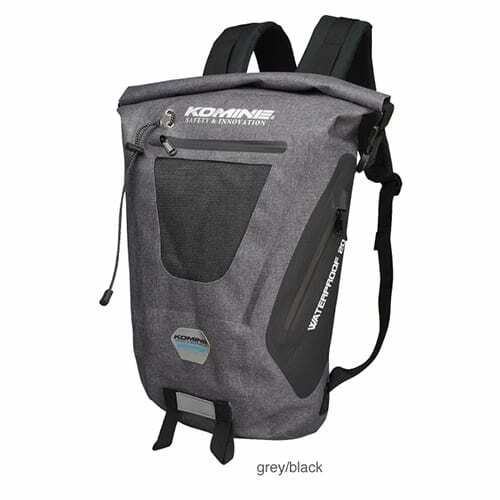 Then the Komine AK-085 Neoprene Warm Handlebar Cover could be your new friend. 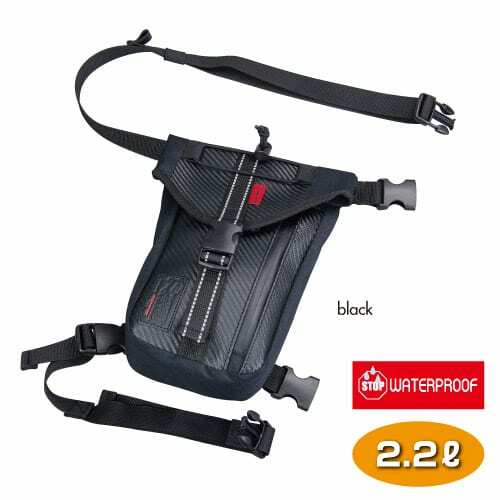 Made from wetsuit material and low profile design, they function excellently to block the wind from your hands. Fixed to the bike for as long as you decide, these chill blockers make for a quick and easy installation. These work great with a pair of heated gloves or winter motorcycle gloves. 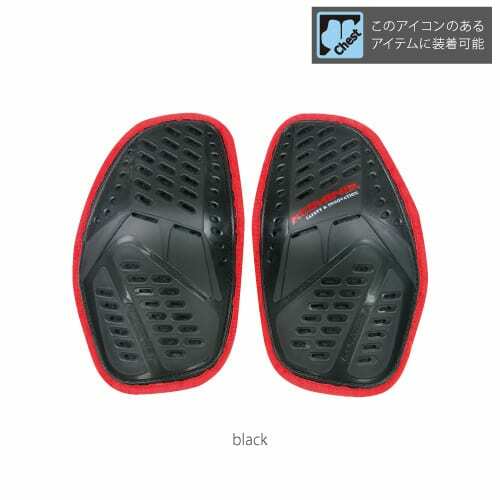 Komine SK-637 CE Support Motorcycle Elbow Guard is a CE approved protector made from built-in synthetic rubber and plastic shell. 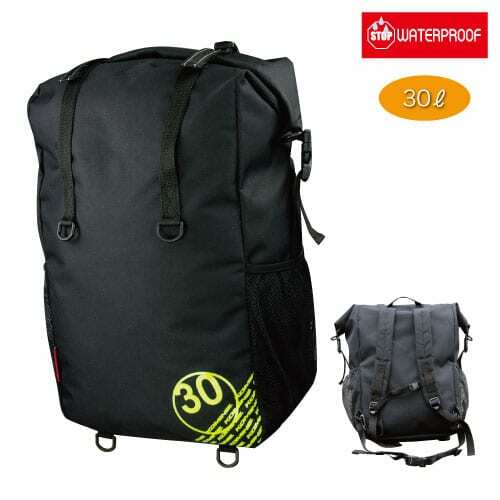 It is designed to fit comfortably under your jacket and can also be used for cycling. 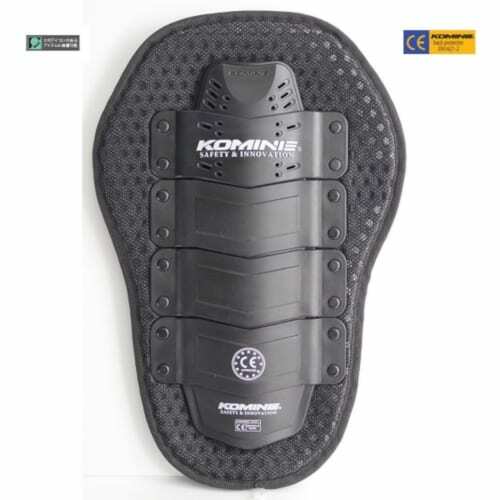 Komine SK-697 CE Motorcycle Back Protector that has independently acquired CE certification. Made from mesh, plastic and Urethane foam for comfort and with the flexibility to mold to your riding position. 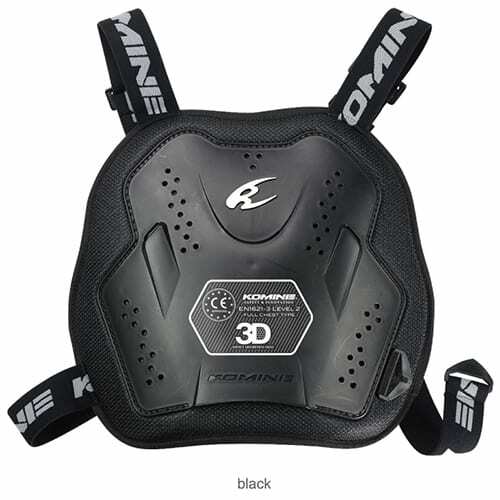 Komine SK-802 CE Motorcycle Back Protector that has independently acquired CE certification. Made from mesh, plastic and Urethane foam for comfort and with the flexibility to mold to your riding position. 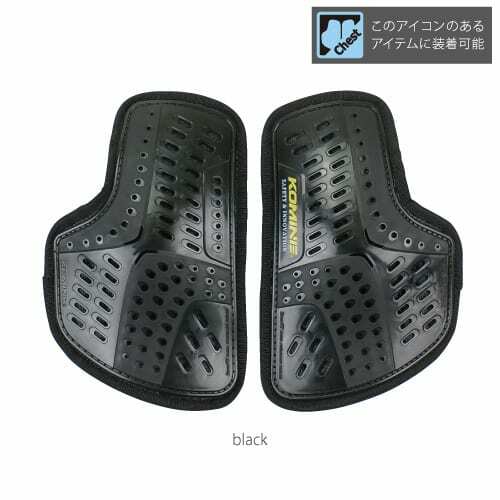 Komine SK-693 CE Armored Top Innerwear is a polyester constructed inner layer that contains CE approved armour to the shoulders, elbows and back as well as molding chest protectors. 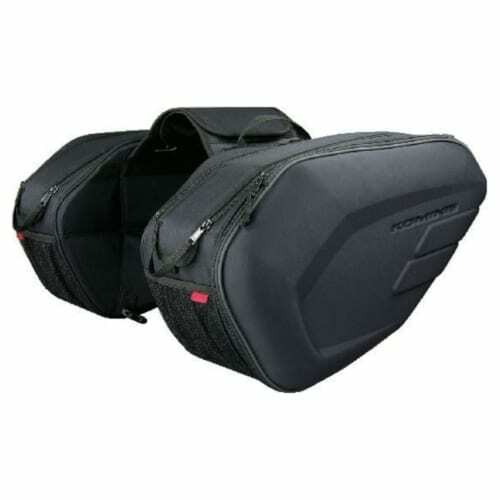 Great impact protection for whatever you ride. Komine SK-646 Motorcycle Neck Brace Superb Ultimate neck protection · Designed to reduce the occurrence of hyperflexion injuries (cervical spine) · Absorbing direct impact from cervical spine · Designed to suit for motocross riding and street riding · Low profile design · Comfortable synthetic rubber construction with polypropylene reinforcement the inside · Easy side entry · Removable, washable liner. Easy to wear without impairing backward visibility. Komine SK-647 Motorcycle Neck Brace Street ultimate neck protection · Designed to reduce the occurrence of hyperflexion injuries (cervical spine) · Absorbing direct impact from cervical spine · Designed to suit for street riding · Low profile design · Comfortable synthetic rubber construction with polypropylene reinforcement the inside · Removable, washable liner It is a simple shape with good fitting feeling and no loss of backward visibility. 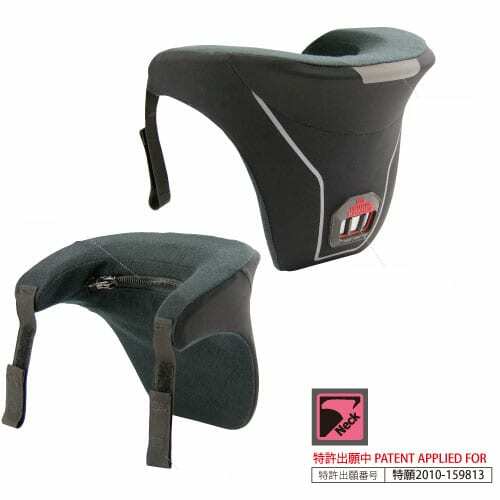 It has moderate elasticity, it suppresses the excessive movement of the head at the time of an accident in wearing the state of Helmet, and reduces Risk of cervical spine injury etc. 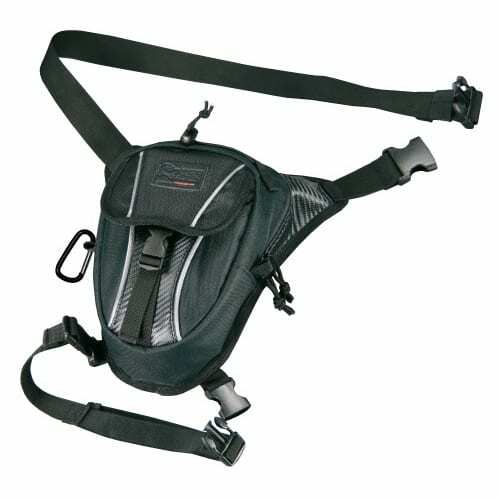 Chest Protector CE Standard Standard EN 1621-3 (Level2) Protector from Komine. The SK-809 CE Level 2 Multi Chest Protector is of the highest safety standards. Chest injuries are the second largest cause of fatalities on the bike so it's an area that needs to be taken seriously and that's what Komine does. 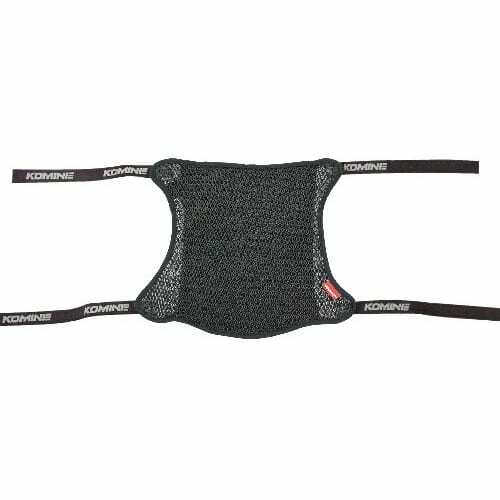 The chest protector has a mesh backing for comfort and can be used with other items such as the SK-692 back protector or added to certain jackets. 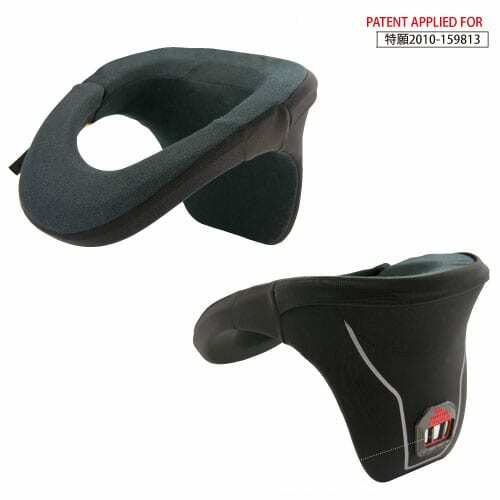 Komine's SK-692 CE Multi Motorcycle Back Protector offers CE approved impact protection for the back. With a flexible shell, the armour can adjust and pivot as your body moves. 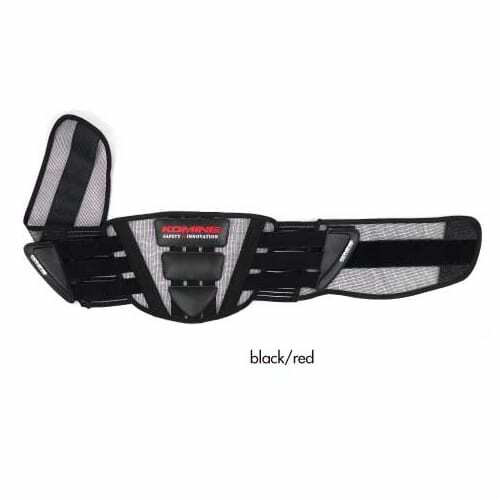 Equipped with waist strap, shoulder strap and 3D padding on the back for comfort, it can be used on its own or with the SK-809 chest protector. 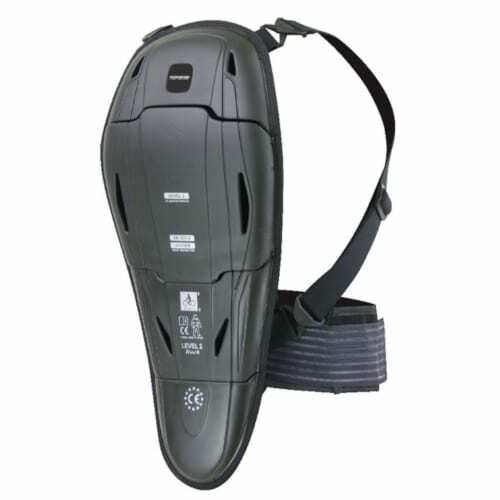 Komine SK-681 Extreme Back guard CE Level 2 offers the highest level of back protection. It's a soft back protector that has good flexibility and the waist belt, with sub belt, that guards the spine strongly with a high fit. It's made with flexible synthetic rubber for impact and mesh construction for better airflow. 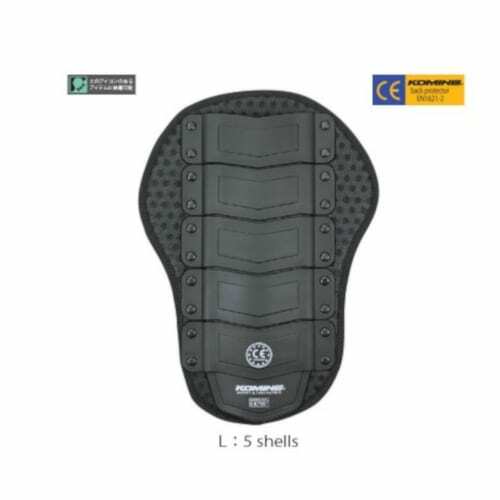 The CE Level 2 protector is made up of 3 movable panels to offer comfort, flexibility and safety. 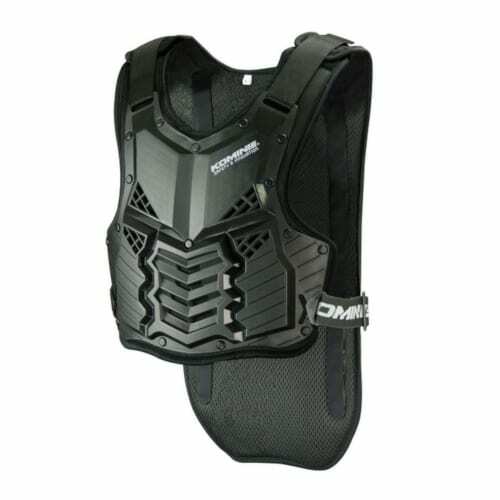 Komine's SK-680 Extreme Body Armor CE Level 2 has a soft back protector equipped with a high rigidity and supple honeycomb shape chest protector and it has cleared the European CE standard level 2. 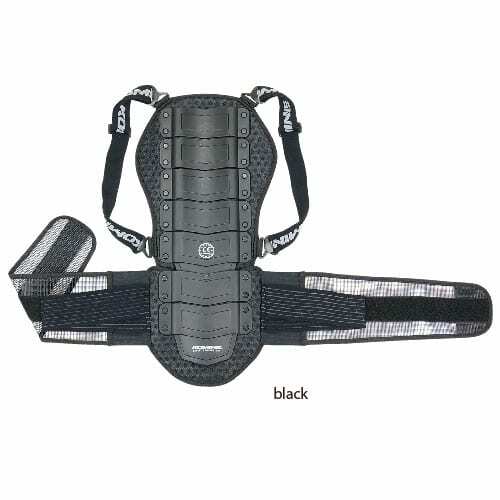 It is a body Protector that protects against force and it strengthens the spine and chest. For the highest level of protection. 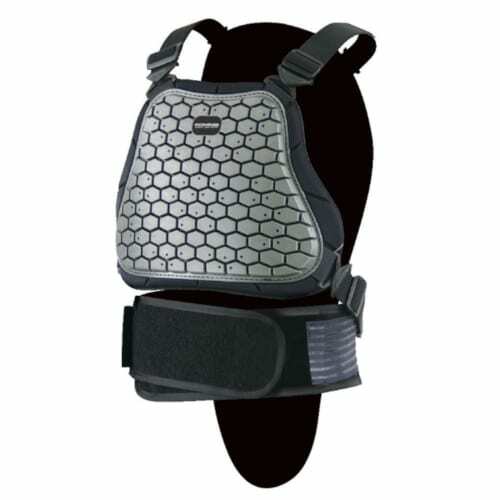 Men's chest protector that can be installed in most Komine Jackets. Ergonomic 3D type for a comfortable fit which molds to the body for a more natural feeling. 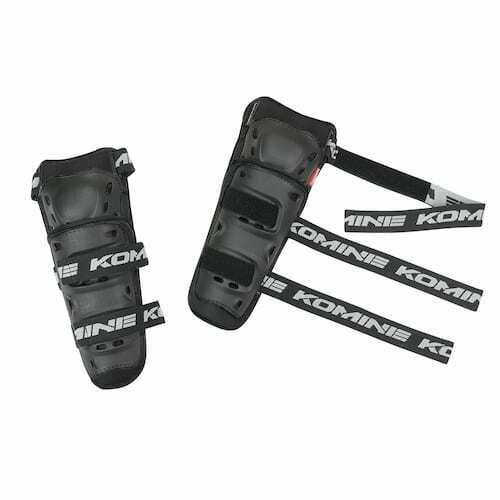 The Komine SK-690 CE Flex Knee Guard is a CE approved protector that has a triple retention system for a snug and secure fit. A special sewing method is used at the knee joint to allow excellent movement.